I have the same problem every year–my husband’s birthday and Christmas fall within three weeks of each other. So basically I use up all my gift ideas for him on his birthday and Christmas always seems to be a bit of a letdown. Plus, he is the type of guy to buy himself things that he wants instead of waiting for it, which makes his wish list very short. 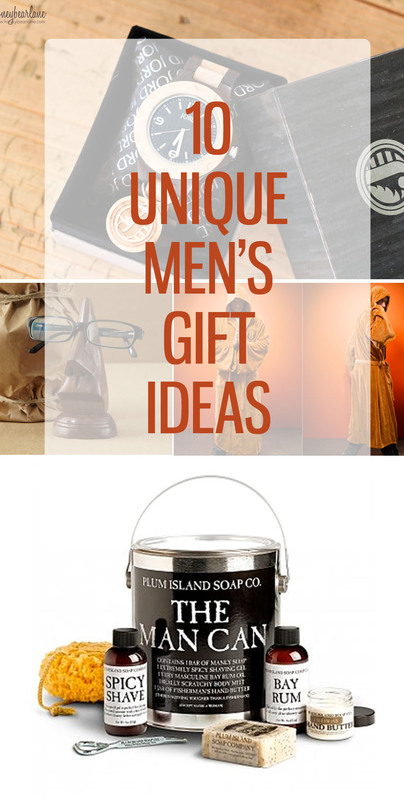 So I’ve had to get creative and I have come up with this list of 15 unique mens gift ideas. 1. 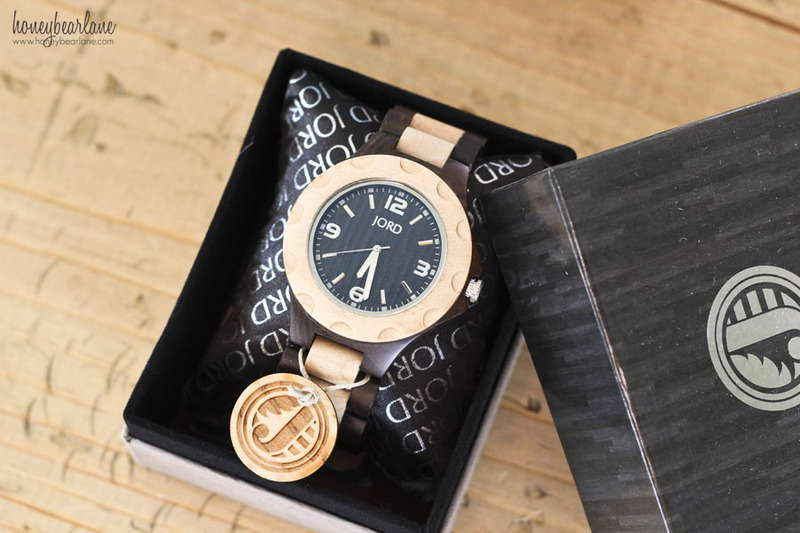 A JORD wood watch. My husband LOVES watches and owns about 10 high-quality watches. He says it’s the one accessory he loves to get into, kind of like women with shoes, I guess. 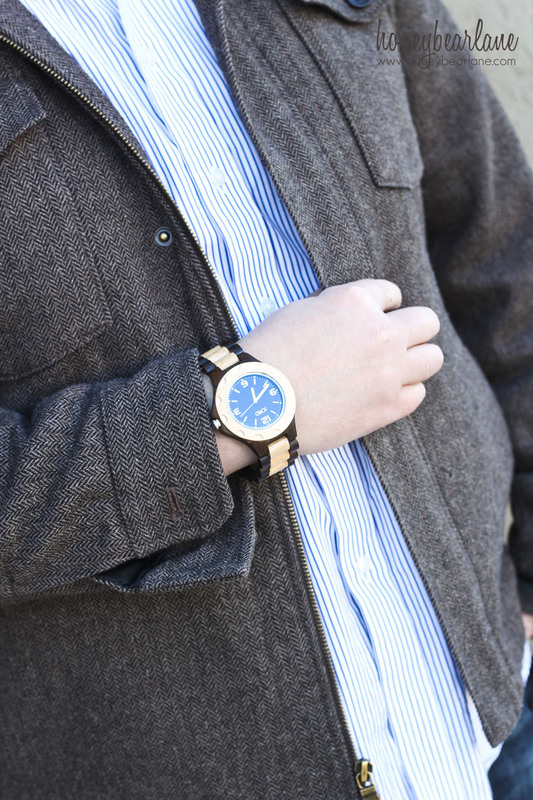 When I first checked out these watches, I was blown away. Yes, that is WOOD. Isn’t that crazy?? Those links, the craftsmanship. A wood-workin’-woman like myself can truly appreciate how gorgeous these are. I let my husband pick out his favorite (this is not something I would leave to chance since he is uber picky) and he was like a kid in a candy store. 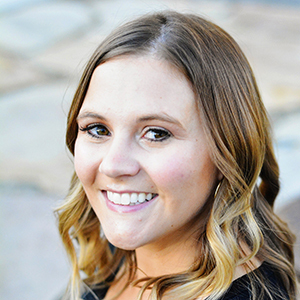 At the end of this post you can enter to win a $139 credit to JORD–so don’t forget! 2. 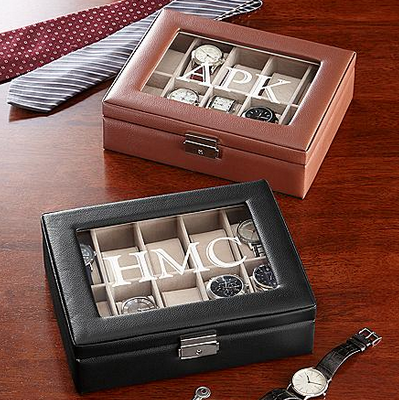 For all those watches, it’s great to have a watch box! My husband has one of these and it’s the perfect way to keep those nice watches safe and dust-free. Here’s a great one from Personal Creations. 3. 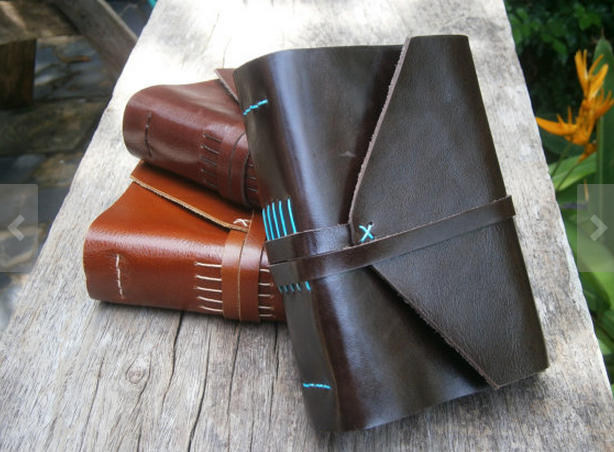 For the writer and ponderer, give him a beautiful hand-crafted leather journal. He can write down all his thoughts and ideas, lists, and more. And the leather smells so good! I love this one from the Etsy shop Crafty Leather. 4. For every man: if your man is like my husband, he wears dress clothes to work and they don’t have a whole lot of expressiveness in them. So I like to buy him fun socks. It’s like his secret rebellion. 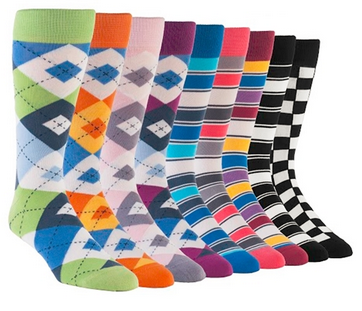 Here’s a great collection from boldsocks.com. 5. 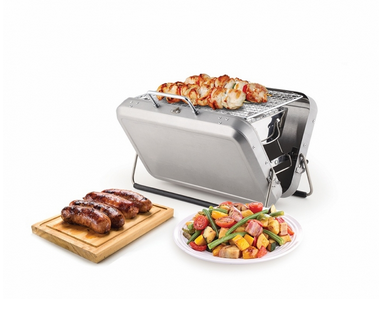 For the griller: If you guys like to go out and have picnics, this BBQ briefcase is a must have item. It’s classy looking and no one would ever suspect that it’s actually a mini grill! This is just so much fun. 6. For the glasses-wearer: 3/4ths of my family wears glasses, including me. 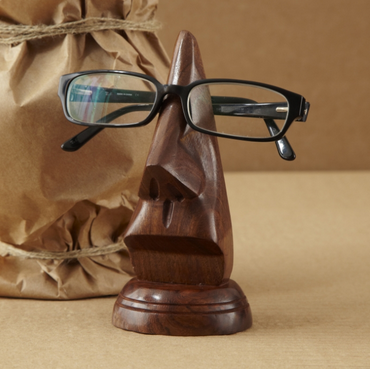 I think this glasses holder is hilarious and cute and practical all at the same time. I totally want to buy this for one of my brothers for Christmas. 7. For the Star Wars geek: I think every Star Wars geek wants to dress as a Jedi at some time or another. Or all the time? 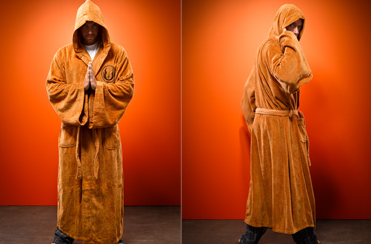 Either way, now he can with this fun and fuzzy Star Wars Jedi robe. 8. 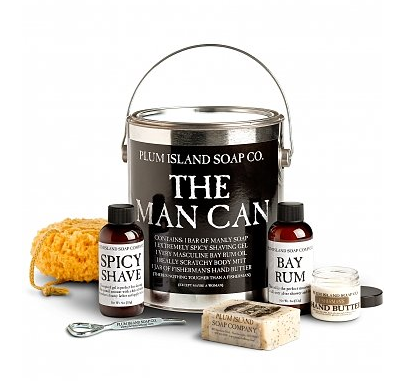 For any man: Your man has skin, right? Every man loves to have high quality skin care products, even if they would never admit it. They like to act all ‘manly’ by not caring about their skin (?) so why not present him with something that is manly but also pampering? I give you The Man Can. 9. For a grandpa: Or any man who loves maps and travel and all that. 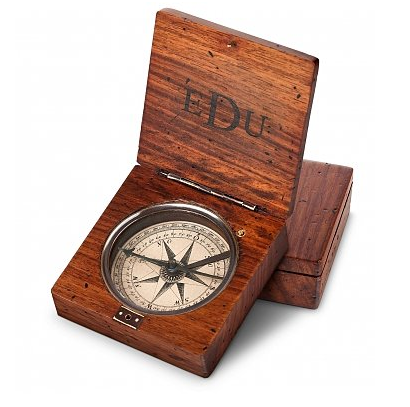 This personalized compass is one of those gifts that can be really special and sentimental. It can be passed down over the years. Or it’s something that can be on an office desk and look cool. A personalized compass. 10. 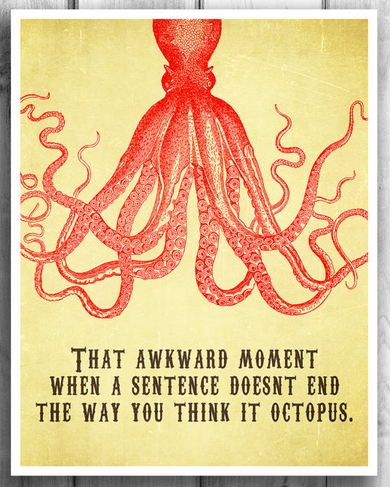 Funny artwork: this would be funny for anyone’s room or office or mancave. It’s simple, beautiful, and non-offensive. And pretty funny. From the etsy shop Happy Letter Shop. You didn’t forget about the giveaway did you? Well now’s your chance to win a $139 credit to JORD so you can pick out your own amazing wood watch, or for the man in your life. Heidi, awesome gift collection. We are especially fond of the socks, but we are of course a little bias. Thanks for taking the time to find awesome gifts and share them on your blog. That Jedi robe cracks me up and the man can what can I say…..smile. Thank you Heidi for the opportunity.